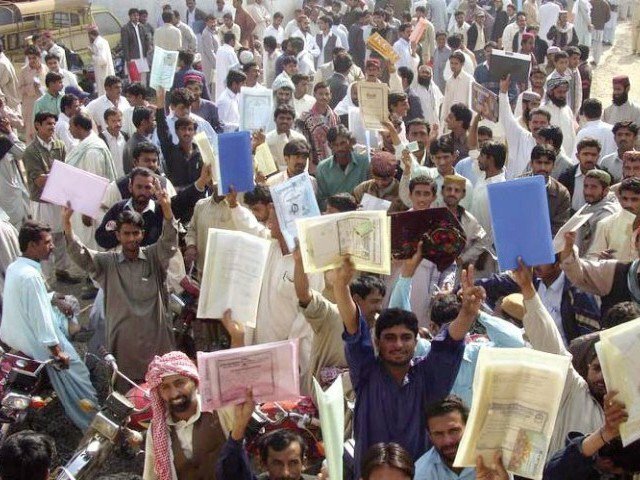 KARACHI: Four million young people between the ages of 15-24 years are unemployed and this number is set to rise to 8.6 million by 2020. “As a Pakistani, I must admit it is alarming to learn that this young and able workforce is not being given their chance to shine. With one in three working people in Pakistan aged between 15 and 24, we cannot ignore the need nor shy away from providing support,” said Pakistan Citibank Managing Director (MD) Nadeem Lodhi. Citi and the British Asian Trust (BAT) hosted a panel discussion at the British Deputy High Commission to celebrate the success of the first year of the Urban Youth Programme – a joint initiative to empower young entrepreneurs in Pakistan to develop and grow new businesses as part of the Citi Foundation’s Pathways to Progress initiative. “We must lend a hand in breaking the cycle of poverty and the most effective way of doing this is to ensure access to quality training, which in turn allows them to earn and to build their own future,” Lodhi added. The event brought together leaders from across the business, government and development sectors, as well as young entrepreneur graduates from the programme, to take part in a discussion on the importance of nurturing youth entrepreneurship and financial inclusion for Pakistan’s future growth and prosperity. Pakistan has a growing labour force with 1.7 million young people reaching working age each year. However, four million young people between the ages of 15-24 years are unemployed and this number is set to rise to 8.6 million by 2020. That’s a significant and growing number of young people who are at risk of social exclusion, income inequality and reduced prospects, and represent a serious challenge to Pakistan’s productivity and economic potential. An integral part of the Citi Foundation’s Pathways to Progress initiative in Pakistan, the programme – implemented by the LUMS Centre for Entrepreneurship – was developed to unlock economic opportunities and create jobs for young people from low-income backgrounds. Ellin Burns, the British Deputy High Commissioner who hosted the event, said in her opening remarks: “I am delighted with the outcome of this joint initiative. Having been associated with the British Asian Trust and Citi Foundation in support of the launch of their joint report Sustainable Livelihoods: Investing in Pakistan’s future, it is extremely positive to see how this programme has come to fruition, with the potential to be scaled further in future”. Graduate – Rabia Ashiq (24) who runs her own academy, shared her experience: “The incubation centre provided me with all the necessary material that helped me run my business effectively”. Muhammad Faisal, 21 also praised the course. “The biggest benefit of the programme was that I was able to develop my own business plan, I also gained insight into how to manage, grow and expand the business,” he stated. The above mentioned narrative is just the voice of private sector think tank who are ever eager to arrest the menace of unemployment in the country, which apart from starving the families resulting crimes in the society.